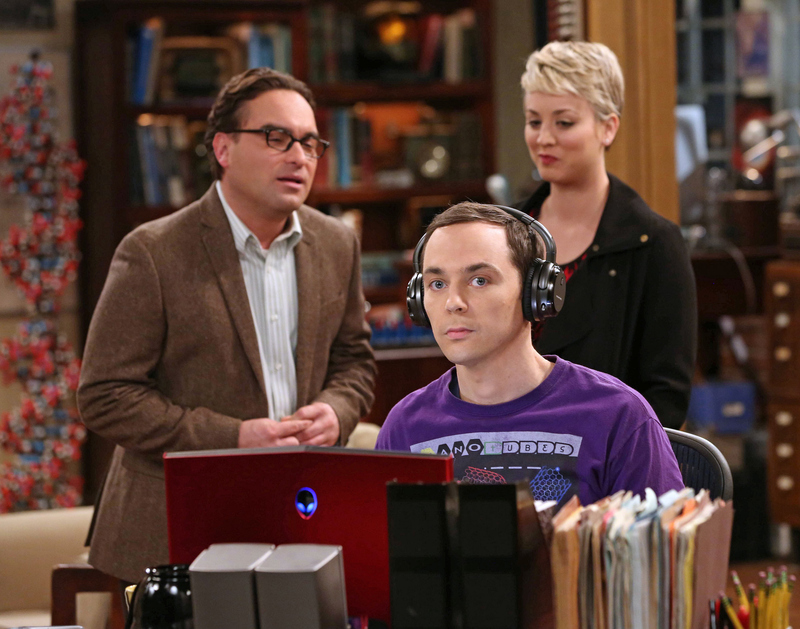 In the hopes of achieving a scientific breakthrough, Sheldon invites his friends to challenge him, on THE BIG BANG THEORY, Thursday, Jan. 29 (8:00-8:31, ET/PT), on the CBS Television Network. Pictured left to right: Johnny Galecki, Jim Parsons and Kaley Cuoco-Sweeting Photo: Michael Yarish/Warner Bros. Entertainment Inc. © 2014 WBEI. All rights reserved.